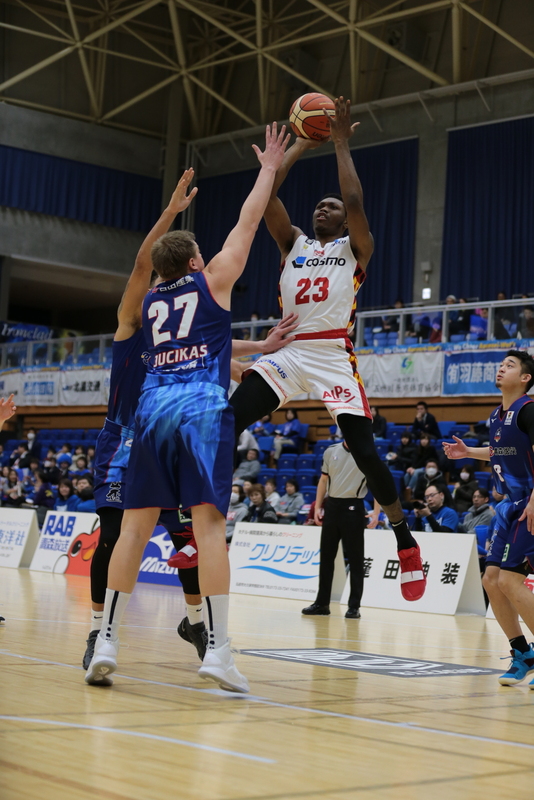 Former New York Knicks forward Cleanthony Early scored a game-high 42 points and grabbed 22 rebounds to guide the visiting Hachioji Bee Trains past the Aomori Wat’s on Friday night. The Bee Trains’ 82-71 victory snapped their 20-game losing streak that began in early November. Coach Takatoshi Ishibashi’s second-division club hadn’t won since a 75-74 decision over the Sendai 89ers on Oct. 28. 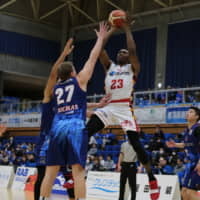 In the B2 series opener, Hachioji led 23-20 after one quarter. Aomori took a 36-31 advantage into halftime, then trailed 55-54 entering the final period. Hachioji (4-28) secured the win by outscoring the hosts 27-17 in the fourth quarter in Misawa, Aomori Prefecture. Early, a recent acquisition making his ninth appearance for the Bee Trains, drained 6 of 13 3-point shots, dished out six assists and made two blocks. Teammate Alexander Jones added 26 points and 16 rebounds. Hachioji point guard Hiroya Ogane contributed seven points, six assists and three steals. In a back-and-forth contest, there were 10 ties and eight lead changes. Aomori (7-25) shot 33.3 percent from the floor. Cullen Russo paced the Wat’s with 19 points and 10 rebounds along with three steals and three blocks. Lithuanian big man Julius Jucikas finished with 16 points, while Taichi Sano and Junki Nozato each had 11. Yusuke Tsunai handed out 12 assists. In an eight-second video posted on Twitter after the game, joyful Bee Trains players and coaches gathered in a huddle in their locker room, congratulated one another and exchanged high-fives.